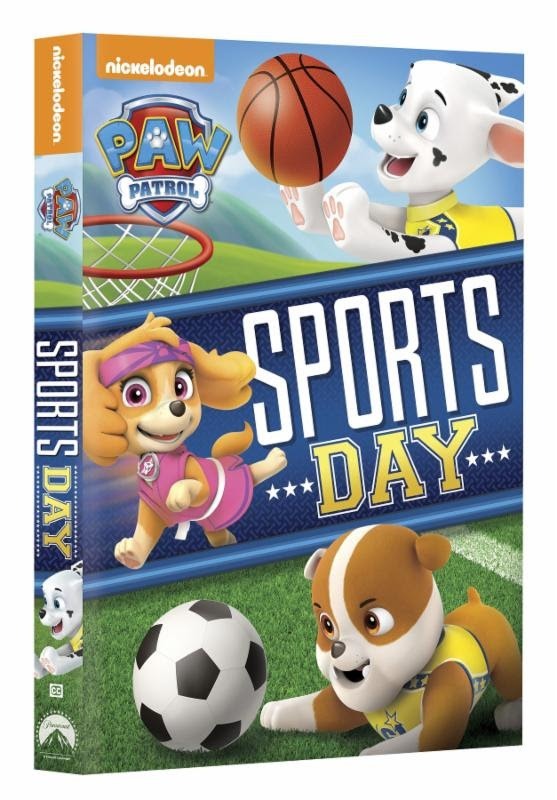 “PAW Patrol: Sports Day!” Available on DVD August 2! Are you ready for a new PAW Patrol adventure? The pups are back for some fun and responsibility in this new DVD, PAW Patrol: Sports Day! available on August 2! Everyone’s favorite rescue pups are back in action in six exciting, sports-themed adventures and rescues. This DVD contains many adventures, including Ryder and Marshall forming a basketball team to help Mayor Goodway, Everest snowboarding to make a daring rescue and the Pups using their brand-new Air Patroller to find friends in need. There’s no denying the Pups know how to be brave and have fun! PAW Patrol: Sports Day! joins the rest of the PAW Patrol releases as the hottest preschool TV DVD franchise on the market, and will be available on DVD August 2 for the suggested retail price of $14.99.